Providing essential coverage of dental radiography principles and complete technical instruction, Dental Radiography: Principles and Techniques, 4th Edition, is your key to the safe, effective use of radiation in the dental office. 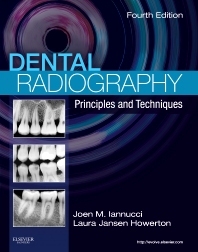 The first ever full-color dental radiography resource, this combination of a textbook and a training manual guides you step-by-step through common procedures, with accompanying illustrations, case studies, and interactive exercises to help you apply what you've learned to practice. Helpful Hints detail common problems you may encounter in practice and provide a checklist to guide you through the do's and don'ts of imaging procedures. 26. Cone Beam Computed Tomography NEW!